This entry was posted on Saturday, October 23rd, 2010 at 11:53 am and is filed under Uncategorized. You can follow any responses to this entry through the RSS 2.0 feed. Both comments and pings are currently closed. Oh, Sand Chronicles is a good one; pretty much everything important that Ann does is driven by the issues with her mom. I think Nana’s a good one, too. Her mother’s not dead, but she did abandon her to go start a new life. The Elric Brothers! (Full Metal Alchemist) And Ash in Banana Fish, which I think is fascinating as a series for many reasons, but one of them is that the absent mother story line does not play out as expected. If I’d been less lazy, I absolutely would have picked an Elric brothers cover from FMA, since they were one of the first sets of orphans that came to mind. Also, Ichigo from Bleach. Ouran High Host Club, Haruhi’s mother is the driving force for her going to Ouran. Since, I’m still reading Monster, I think about the twins losing their mother. That might not be quite the same. There are a lot where the protagonist loses both parents. Tohru Honda was the first one to come to mind she’s got to be one of my all time favorite characters and I owe it all to the critical drubbing she receives from some sectors of the fandom. I made a rather more cynical post about shounen protagonists with dead/missing mothers. It seems to me that shounen manga in particular is pretty terrible when it comes to dead moms, because their deaths aren’t always even as important as the death of the dad. I get that shounen manga is directed at boys, but it seems sad that this means moms get poor treatment. I’ve never heard of Sand Chronicles – it sounds interesting! It’s really amazing. It follows its protagonist from pre-teens to adulthood, which is kind of unique, and it’s really well-written and drawn besides. There are several that come to mind for me. The first are the anime/manga ones, ie anime developed before the manga. Those being EVA, No Need for Tenchi and Code Geass. CLAMP and Rumiko Takahashi have used “mother issues” alot. My favorites being CCS, Angelic Layer and InuYasha or Ranma 1/2. 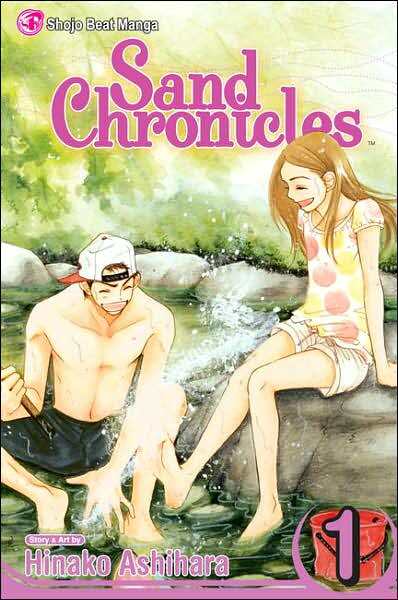 I love Sand Chronicles, but some of my other shoujo favorites is Baby and Me, Full Moon wo Sagashite, and Gakuen Alice. The shonen/seinen titles I like that have this focus are Monster, Eagle, Blade of the Immortal. I don’t know if this would fit, but I love the son and Mother connection in Drifting Classroom. Another character that occured to me is from one of my favorite shonen’s, Kekkaishi. Yoshimori Sumimura’s mom has left the family and is doing shodowy things (pun intended) and leaving her son in the dark. It’s obvious that Yoshimori is affected by her abandonment, and I feel that her story will be integral to the plot in the future. The one who comes to mind for me is Kyoko from Skip Beat!, who never received any praise from her absentee mother and was largely left to the care of some neighbors. When she joins a talent agency and the president mentions her mother’s signature will be required, she is absolutely terrified. Where to even start, seems like I’ve read more manga about motherless characters then people with loving parents. Just think of FMA, did any of the major characters have a mother? Fruits Basket, of course, as Tohru’s dead mother has a huge impact on her life. Ai Yori Aoshi. Kaoru’s mother was forced out of the family after the death of his father, as they were never married, and then died alone. Ouran High School Host Club. Haruhi’s mother has already been mentioned, but Tamaki’s mother, while not dead, is also absent, exiled in France and barred from any contact with her son. Romeo x Juliet. Juliet’s parents are dead, but she does have a bit of a father figure in Conrad, while she has no mother figure. The heroine in Ultimate Venus lost her mother as well and is frequently reminding herself of her mom’s life lessons. Most of the time if a story features an absent parent, the fact that the parent is gone isn’t actually as important as the situation or emotion or experiences they represented being gone. They can also tend to represent an ideal or example or knowledge or emotional state that is now beyond the reach of the protagonist. They must be willing to give up everything, even possibly their own life, like the parent, to attain their goals. It can be a little like the ultimate rival. With all that in mind, I guess Astro Boy would be one of the most interesting examples of an absent mother. He tries to identify everything that a mother represents in his ‘father’ Dr. Tenma, but Tenma is about the furthest thing from maternal that has ever graced a comic page. The quest for a mother before he was able to find a surrogate family probably shapes a lot of his empathy. I dunno, Tezuka can be weird, I don’t know exactly what he was trying to explore there, but the fact that Astro Boy has no mother has a lot more impact than people realise, I think. After reading so many posts on this question and thinking about it myself, I have concluded that losing one or both parents is wide spread in manga. From this, I feel that it becomes the stepping stone for overcoming adversity, for personality, for ambition, and many other attributes of the protagonist. So, is this strictly a plot device of the Japanese mangaka or is this a reflection of Japan? Just pondering. In the West, protagonists tend to look outside their family more for their guides and mentors; the parents themselves are usually portrayed as part of the forces of ultimate lameness and convention that the hero rebels against. There are still plenty of absent parents in Western fiction though, Luke Skywalker and Spiderman not only have both parents absent, but they have surrogate parents that kick the bucket too. Superman has an entire parental planet that dies. Now that I think about it, maybe mangaka just like their parents a little better than Western creators, haha. And I immediately though of Tohru from Fruits Basket as well. Now that was a series that frequently reminded you that the mother was dead…and all the kids pretty much had issues. 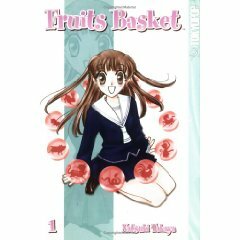 Don’t get me wrong, Fruits Basket is one of the best of the Children-with-issues genre. No character is ever coincidentally introduced, he/she IS somehow connected to the other character’s trauma. I won’t smirk because not only does it propel the story, it is extremely important later on. Astro Boy occured to me, too, but then I thought “but, he’s a robot. Technically he has no biological parents whatsoever.” It’s an interesting point, though. Naruto occured to me, too. Like most shonen manga, his father seems more integral to the plot than his mother, but Kishimoto recently explained Naruto’s Mom’s backstory in a short but very compelling arc, and I fell in love with her character! Frankly, I miss her, too! As for this phenomenon being more common in Eastern Stories than Western ones, I highly disagree. Even if you disregard myths and legends, modern stories have plenty of missing parent stories. Harry Potter? Star Wars? The Series of Unfortunate Circumstances? Avatar: The Last Airbender? The last one is especially notable, in that both Katara, one of the “good guys” and Zuko, the main antagonist for most of the series, have missing moms that affect their respective character arcs deeply. In fact, when the question of missing moms came up, ATLA flashed in my head immediately (but I figured I wouldn’t mention it, since it’s not a manga, or even technically an anime). It works with this trope very well, though.